After striking a pedestrian with his car, a drunk New Jersey man drove for more than a mile with the critically injured victim lodged in the vehicle’s windshield, investigators allege. Responding to a report Monday of an erratic driver, an Ocean Township Police Department officer spotted an auto “with what appeared to be a person lying on the hood of the vehicle.” A cop initiated a traffic stop around 7 PM and found “a person halfway through the vehicle’s windshield,” according to prosecutors. 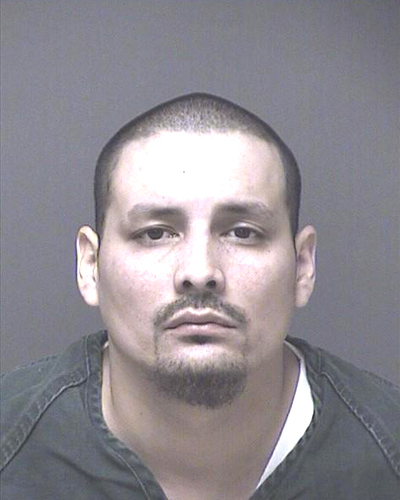 A subsequent investigation determined that driver Marcos Ortega, 33, struck the victim when he crossed onto the shoulder on Route 9. Cops estimated that Ortega drove “approximately 1.5 miles” with Kenneth Moeller, 61, lodged in the car’s windshield. Moeller was extricated from the vehicle by emergency service workers and transported to the Jersey Shore University Medical Center, where he is listed in critical condition. The “impaired” Ortega was charged with drunk driving and leaving the scene of an accident. He was booked into the county jail in lieu of $150,000 bail.